Here are eight entrepreneurs making a fortune and giving a portion of it back. All three phrases are popular concepts in the corporate philanthropy space (where companies with the “buy one, give one” philosphy donate a product to charity for every one they sell, and companies with the “triple bottom line” philosophy are working to consider people, planet and profit).All three strategies are also proving their viability and success by generating impressive revenue for the companies that practice them. TOMS Shoes, for example — a household-name company in this category — has been a notable leader for years. But what about the newer companies using similar models to make a profit while giving back? Here are eight entrepreneurs (and an inspiring ninth individual who helps these entrepreneurs grow into powerful for-profit companies) making a fortune and giving a portion of it back. Beth Doane is a partner of Los Angeles-based Main & Rose, an all-female, award-winning communications firm known for supporting numerous causes each year through its innovative pro bono program. The program gives non-profits worldwide access to the Main & Rose team; its members execute events and media campaigns, cost-free. Fun Fact: Beth is known for her vibrant Instagram account depicting her adventures around the world and her work as a social entrepreneur, in which she’s founded an apparel line that’s planted over 40,000 trees in endangered forests, and helped send children to school around the world. Milestone: Main & Rose is launching a Dubai office this year to serve its growing Middle Eastern and African clientele. Dave Heath is co-founder and CEO of New York City-based Bombas: a line of athletic-leisure socks, engineered to look better, feel better and perform better, as well as promote the company’s mission to help those in need. Heath and his team members spent years developing several updates to the traditional sock, creating what they call the most comfortable socks in the history of feet. 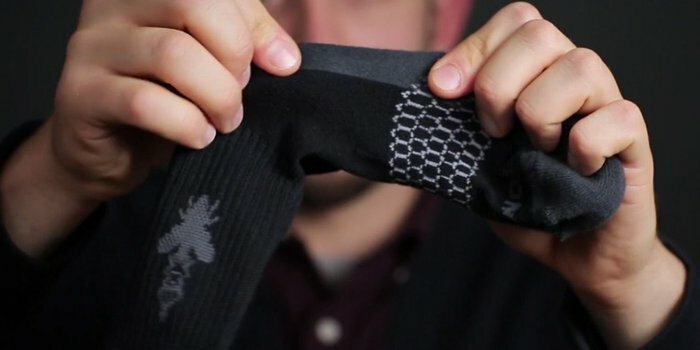 Because socks are the number one most requested clothing item at homeless shelters across the United States, for every pair the company sells, Bombas donates a pair of specially-designed donation socks to someone in need. Nathalie Molina Niño is CEO of New York City-based Self Made and founder of Human Collective. The latter exists to promote the often untold stories of women thought leaders as well as whole women-led businesses that are making a catalytic impact in the world. Most recently, the collective stepped in to launch Nely Galan’s SELF MADE platform, a project dedicated to equipping women to become financially independent through entrepreneurship. Milestone: The book Self Made (Spiegel & Grau/Random House), online platform, mobile app and webinar series will launch in May. And the national #IamSELFMADE tour kicks off June 14 at the White House-hosted United State of Women Summit in Washington, DC. Trina Spear and Heather Hasson are co-founders of Los Angeles-based Figs, a company “revolutionizing the antiquated medical apparel industry, through its use of ridiculously soft and technical fabrics that are tailored to perfection.” Through its Threads for Threads initiative, for every set of scrubs sold, Figs gives a set to a healthcare provider in need. Actress Rosario Dawson and Abrima Erwiah are co-founders of Studio One Eighty Nine, based in Accra, Ghana, and New York City. Studio OneEighty Nine is a social enterprise that gives African brands worldwide distribution and manufacturing through the Studio One Eighty Nine private label. Fun Fact: Both founders love cooking and take inspiration from it. Milestone: They anticipate opening their first store and factory in Accra and building, in partnership with New York University, an education center for women in the Volta region to help them learn a skill set. Sarah Kaler is CEO of Seattle-based Soul Powered. She is a leadership coach developing the next generation of women leaders to become CEOs. Sarah also invests in two African charities and built a five-year mentorship program for the Africa Yoga Project, which serves hundreds of individuals being taught job skills, entrepreneurial skills and leadership skills. The goal is for them to learn not only how to teach yoga, but also to become self-sustainable. Fun Fact: Kaler runs a renowned high-level mastermind program for women entrepreneurs who are making a global impact. Milestone: Kaler is writing her first book. Natasha Case and Freya Estreller are co-founders of Los Angeles-based Coolhaus, a “delicious, architecturally inspired dessert company now distributed in over 4,000-plus grocery stores around the world.” Coolhaus’ leaders also published a best-selling cookbook in 2015 and are passionate about using their business to give back. They are part of the No Kid Hungry annual fundraiser every year, for which they have helped raise more than $100,000. They also developed a custom sammie for Habitat for Humanity and use their iconic food truck for dozens of other fundraisers and charities each year. Fun Fact: Coolhaus is best known for its unique ice cream sandwiches, which come in flavors like Balsamic Fig & Mascarpone, Fried Chicken & Waffles and Whisky Lucky Charms. Milestone: Case and Estreller expect to surpass $10 million in sales in 2016 and to form a strategic partnership to increase scale and streamline operations, making Coolhaus the household ice cream sandwich brand for millennials. Carrie Rich is the force behind many of the founders profiled here: She’s CEO and co-founder of the Washington, DC-based nonprofit The Global Good Fund (GGF). GGF is a leadership development enterprise built by and for social entrepreneurs. “We believe growing leaders who give back is the most effective strategy for solving society’s complex social problems and achieving global good,” Rich says. GGF identifies high-potential leaders and accelerates their success through a 15-month fellowship program. Click here to access a free hour-long masterclass with Deepak and I on why a meaningful life rests on developing a meaningful self. It comes with a guided meditation! This article was originally published on Entrepreneur.com.